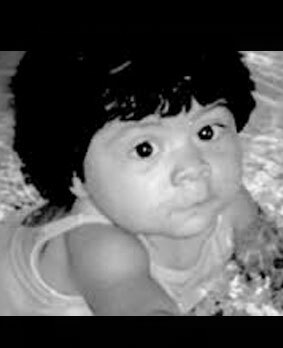 Mia Grace Mozo was born September 20, 2005 with Hypoplastic Left Heart Syndrome. When I was about 20 weeks pregnant I went to the OB for a routine ultrasound exam. That week the OB called saying he couldn’t see all 4 chambers of the heart and wanted me to drive to Children’s of Milwaukee (WI)/Froedert, so that a specialist could perform an review the ultrasound. After the ultrasound with the specialist, the specialist along with care specialist pulled my husband and I into a room where they delivered the news. Mia would be born with Hypoplastic Left Heart Syndrome, explaining that she would have a series of 3 surgeries after birth to live. We didn’t know what to think. The next 4 months we went to many follow up exams, until Monday morning around midnight I went in to labor, my husband and I drove 45 min to Children’s/Froedert Memorial, when I arrived in labor and delivery I was placed on the standard monitors. Over the course of the next 5 hours, the doctor realized Mia could not handle labor, therefore, I was quickly prepared for delivery via C-Section. Mia was born at 6:35am on Monday morning, I briefly got to view her (my husband was able to hold her) before she was swept away to the NICU. The next day, my birthday, September 21, while recovering from delivery, I went to visit Mia in the NICU. While visiting Mia, the doctor came by and said Mia was doing so well that she would be strong enough to handle surgery. So it was, two days after she was born she had her first successful open heart surgery, following the surgery Mia was in the hospital for 4 weeks before we took her home. Once we brought Mia home we were asked to monitor her pulse/oxygen levels, along with her eating habits daily. By monitoring her levels, the doctors were able to determine when her next surgery would be necessary. About 4 months later in January the doctor set up Mia’s 2nd surgery, and that was also a success, but this time she gave home within 2 weeks. Ever since coming home over 2 years ago Mia has been growing steadily and acting like a typical 2 year old. Currently, we are awaiting Mia’s upcoming third surgery which is scheduled for October 21, 2008, and I have faith that she will make it through remarkably as she has in the past, because she is a very precious and beautifully strong willed little girl.